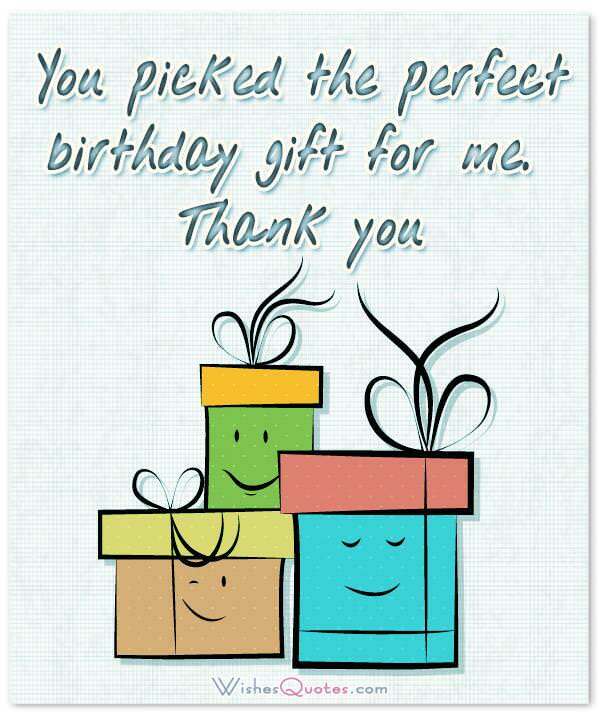 Be nice and send a thank you message to everyone who bought you a gift on your birthday. Just imagine how much your friends would have thought about your birthday and you to bring you that amazing birthday gift, so sending a thank you note is a must. It is always important to acknowledge a gift in some way. This is more than just the polite thing to do. It shows you genuinely care that the gift giver thought of you on your special day. Gifts are a way for others to show that they care. A message of thanks lets that person know that their gift was happily received. You could send a greeting card to show your thanks, but this isn’t always necessary. Instead, you can send a sweet, sincere message of gratitude through email or post it on a social media site. Find the perfect words! 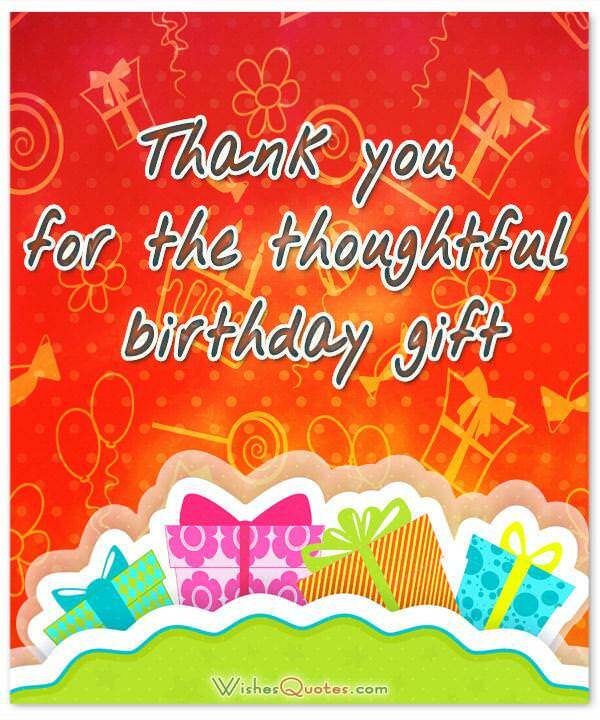 Browse our collection of wonderful samples and great tips for sending an amazing thank you note for the special birthday gifts. It meant the world that you thought of me on my birthday. The gift is just perfect as are you. You have such exquisite tastes in things and I was stunned by the beautiful gift. Heartfelt gratitude. It is as if you peeked at my secret list of birthday wishes! Your gift was wonderful and I am so grateful. Thank you for the baby’s new outfit. She looks adorable in it and the color and size are perfect. My friends are so awesome and I am so glad you are one of them. The birthday present is so fun and thoughtful. Friends like you are one in a million, and not just because of the gifts you give, but this gift was especially wonderful! You really won me over with the thoughtfulness of your gift. Words don’t even describe how thankful I am for that. Are there no limits to your generosity? Thank you for the delightful birthday gift. You must have read my mind, because your birthday gift is exactly what I wanted. You picked the perfect birthday gift for me. Your birthday gift means a lot to me. You are one of the most generous people I know. If anyone deserves thanks, it’s you. Thank you for showering me with birthday gifts for the baby. 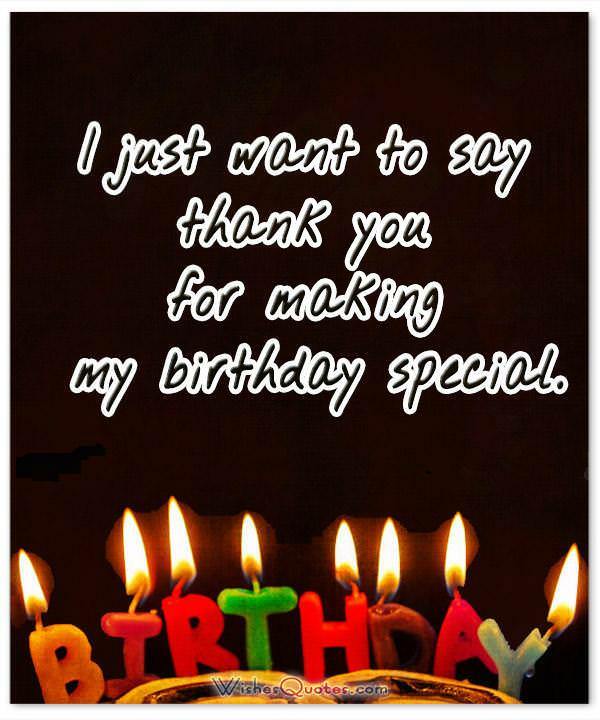 You made my birthday a special day. Thanks for thinking of me; you made my day.